Accessory for structure model FIL ACC. COVER X/MM WH., LAMP brand. 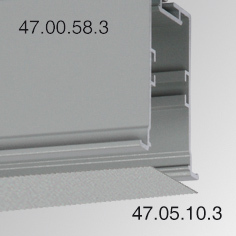 Cover profile type supplied in metres. Made of matt white lacquered extruded aluminium.